51 On Camps Bay Guest House has been helping visitors create unforgettable memories since 2002. 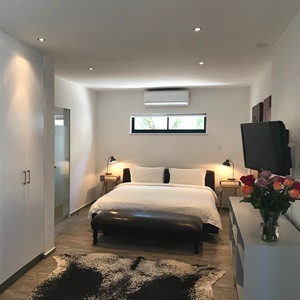 Our acclaimed accommodation is a short walk to the beach and restaurants of Camps Bay, and the views and sunsets are breathtakingly beautiful. 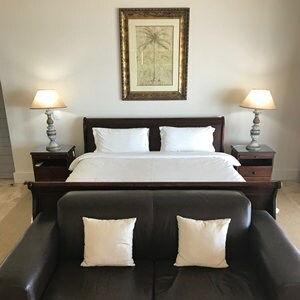 We now offer two separate and exquisitely appointed self-catering guest suites, which give travellers independence and privacy as well as luxury, with easy access to 51’s renowned personal service. Each spacious suite features a king-size bed, ensuite bathroom, lounge/dining area and modern kitchenette. A full satellite TV package is standard, wifi internet is complimentary and there’s even a Nespresso machine for coffee lovers. Guests can also take advantage of our in-house tours and transfers service, which can tailor itineraries for every need. Comfort, convenience and a touch of class. Book now at 51 On Camps Bay to enjoy a memorable stay in South Africa’s premier holiday destination.